That’s a common question from buyers. Buyers get their “pre-qualification” letters and start shopping for a home. Once they go under contract, their lender asks for all sorts of documentation for the loan – from bank statements to verification from their landlords. So when is a buyer approved for their loan? A lender will say a buyer is “conditionally approved”. But what does that mean? 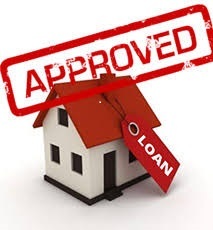 It means that the buyer’s loan file has been approved by underwriting, but it is subject to the remaining required items that the underwriter needs to complete the loan file like employment verification and home appraisal. What is underwriting? A loan file is created for a buyer with their loan application and documentation, and submitted to the underwriting department within the lender’s company. An underwriter in the in the underwriting department makes sure that all the documentation for the buyer is acceptable based on the guidelines set by the lender. If everything looks good, the underwriter will conditionally approve the loan. But why conditionally? The lender reserves the right to validate and double check any information up until the time of closing. Often, the day before closing or even on the day of closing, a buyer’s credit and employment may be rechecked. If something new that’s bad pops up, the loan may still be denied, or the lender may require additional information that could cause the closing to be delayed. When a buyer goes to the closing meeting, they have to sign a stack of paperwork from the lender that basically says: “If you don’t pay, you can’t stay”. The attorney will email all the signed paperwork back to the lender for the lender’s approval. The lender will then wire the funds for the loan to the closing attorney and give authorization to the attorney to record the buyer’s new deed. Hallelujah! That’s when the loan is approved. Bottom line: A buyer’s loan is approved when the attorney gets the funds from the lender and gets authorization to record the deed.